Despite a higher fine and increased points on your licence, UK drivers are still being caught using their mobile phone at the wheel. A total of 23% of drivers have admitted to using a handheld device at the wheel in the past 12 months, according to the RAC Report on motoring 2017. From 1 March 2017, the former punishment of a £100 fine and 3 points added to your licence has now doubled to a fixed penalty of £200 and 6 points on your licence. Despite this, UK Police caught nearly 6000 drivers using their devices just four weeks after the new laws came in to place, according to the Press Association under the Freedom of Information (FOI) Act. The inquest revealed that in 2015 – the latest year for which figures are available – 22 people were killed, and 99 seriously injured in accidents where a driver was using their phone. A total of 23% of drivers have a admitted to using a handheld mobile at the wheel in the past 12 months. A further 12% admitted to checking texts, emails or social media. Distraction from using your phone at the wheel has been shown to be worse than drinking certain mounts of alcohol. Therefore, the laws regarding drivers using mobiles need to change. Driving requires full concentration, and can be a risky activity as it is. No life should be put at risk for the sake of checking a text, email, social media or taking a quick call. 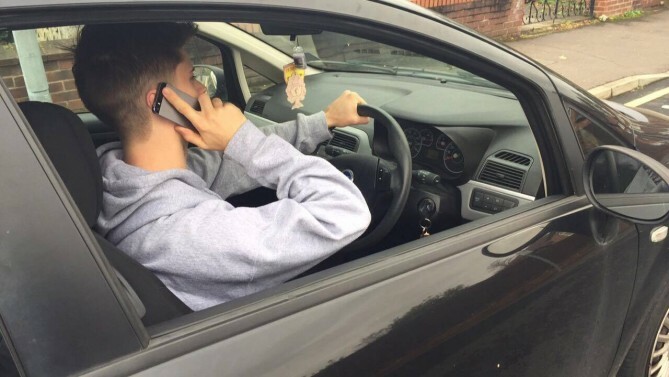 It’s not just the driver using the phone who is put in danger, but pedestrians, cyclists and all other road users. No one should not be made subject to the possible devastation caused by people who kill and seriously injure, just because they couldn’t wait a few more seconds. We believe if drivers were to have their licence revoked for using a mobile, this would deter them from using their devices at the wheel, and make our roads safer. Sign our petition and encourage drivers to #PutTheMobileAway. Let’s save a life today. Use the hashtag #PutTheMobileAway to support the campaign on Twitter and Facebook.